"Goodmorning Hotel is located right by Sokcho Beach." Have a question for Goodmorning Family Hotel? 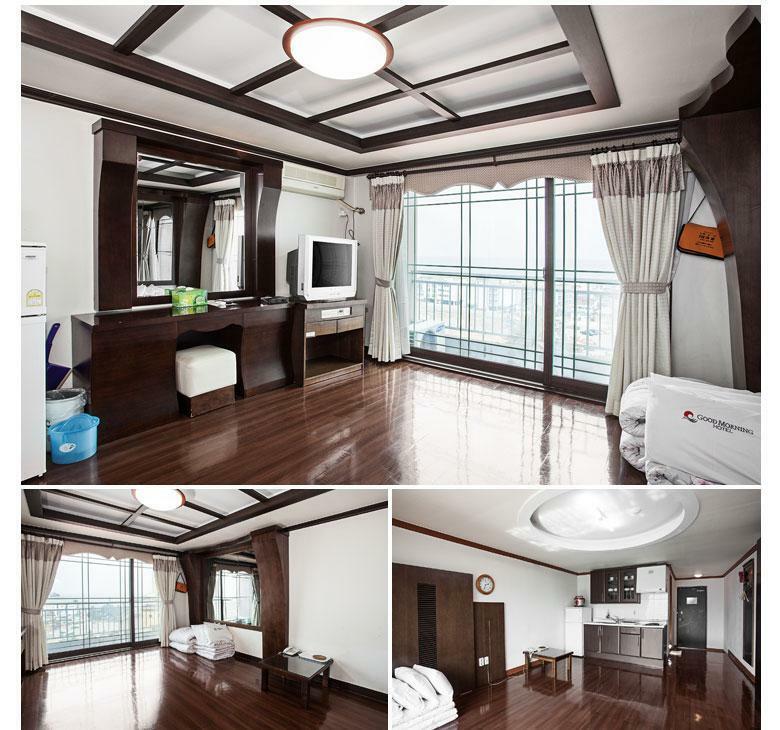 Situated in Daepo-hang, Goodmorning Hotel is the perfect place to experience Sokcho-si and its surroundings. From here, guests can enjoy easy access to all that the lively city has to offer. With its convenient location, the hotel offers easy access to the city's must-see destinations. At Goodmorning Hotel, the excellent service and superior facilities make for an unforgettable stay. Top features of the hotel include free Wi-Fi in all rooms, convenience store, luggage storage, Wi-Fi in public areas, car park. All guest accommodations feature thoughtful amenities to ensure an unparalleled sense of comfort. Throughout the day you can enjoy the relaxing atmosphere of the karaoke. Superb facilities and an excellent location make the Goodmorning Hotel the perfect base from which to enjoy your stay in Sokcho-si. Hotel heat flooring is perfect. Hotel provide hair dryer, small bath towel and limited toiletries, but enough for one night stay. rooms on beach side have a sea view but the huge parking lot between the hotel and the beach spoil it. At night it gets a bit noisy from fireworks that tourists set off on the beach. A large construction site is next to the hotel on the city side and the noise reaches the rooms on the sea side too. Construction is going on even on weekends. Rooms were not made daily during our stay for 3 nights and we had to take rubbish out ourselves. 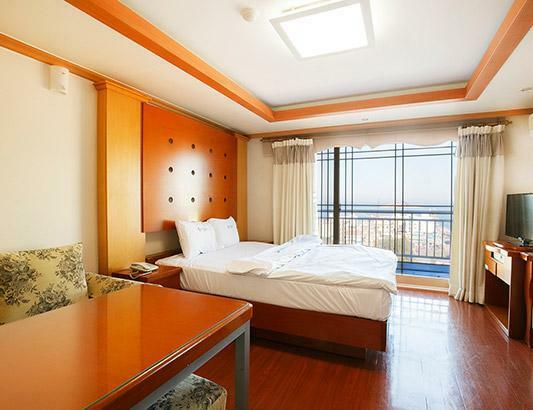 Goodmorning Hotel is located right by Sokcho Beach. It is also a block away from the express bus terminal which was extremely convenient my girlfriend and I (who took the express in from Seoul). I wish we had planned on staying more than just one day in Sokcho. The only plus point with Good morning hotel is its location, from where you can get the local bus to everywhere and is just next to express bus terminal and the famous Sokcho beach. They charge much heavy but the facilities are really awful. Kitchenware was not cleaned with dirty towels at washrooms without soaps. They even don't provide almirah for the clothes. In overall, i'll give them 3/10 points only. - Just maybe a spa would be nice for such a big hotel - Room needs a water heater. Appart of that everything was perfect! Old room, was new 25 years back 😡. Photos are decieving... More of a hostel! Take it if you have no other option. Satisfying for the room rate. Unfortunately no breakfast is offered. Clean rooms. Near Bus Terminal. Near the Beach. Near the Bus Stop. We stayed for 2 nights, no room cleaning of room in the second day. The issue was not fixed as all the staff were left. The location is next to one of the two bus terminals which were about 2-3 km apart. In the room got almost everything for penthouse or condo ,have sofar ,rice cooker,microwave,refrigerator, But no body towels they provide only towel to dry ur hair. Hotel qui a clairement connu des jours meilleurs. Chambre défraîchies mais correctes. Bien situé en plein centre à proximité de la plage et de la gare. Bon restaurants autour. Le wifi fonctionne très bien. Rapport qualité prix ok.